Eindhoven Day Ticket: With the Off-peak Eindhoven Day Ticket you are allowed to travel with all the busses in Eindhoven for free during the off-peak hours. Passengers traveling with the off-peak day ticket may transfer to Arriva buses in Southeast Brabant. Also very convenient if you are traveling to and from the Eindhoven High Tech Campus. Groningen/Drenthe Day ticket: Are you traveling outside rush hours in Groningen and/or Drenthe? You can travel unlimitedly by bus with the day pass for Groningen / Drenthe. 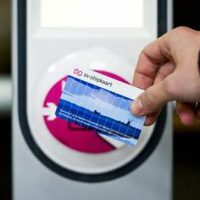 Utrecht Day Ticket: With this ticket you are able to travel unlimited with all busses and trams within Utrecht. Very convenient if you are visiting Utrecht for one day. Of course this ticket is really handy when you forgot your ov chipcard or prefer a day ticket.